Snowboards and Snowmobiles are here! It's finally here! Snowboarding and snowmobiles are finally available in SNOW! We have just released SNOW's latest update (Game Update 0.8.0) and it's probably the most significant update since the initial launch of SNOW on Early Access in 2013. The launch trailer above trailer was made by Sonder, one of our award winning, and super talented film makers from the community. Going forward we will be featuring more trailers and videos from our community in our social media and marketing, so keep an eye out for #SNOWriders. With 0.8.0 snowboards are finally available in the game. You can now pick and chose your favorite sport to ride around Sialia and switch between them easily through the menus. 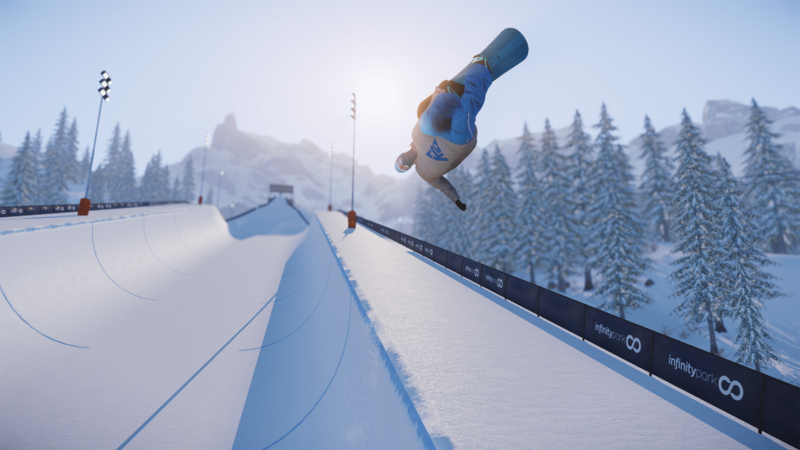 This marks a true milestone in our development and makes SNOW the first multi winter sports game for PC and - soon - console. At launch, snowboarding offers a variety of boards, bindings, boots, and other gear from real-life brands like Ride and K2 Snowboarding, but we will continue to work with additional brands to expand the catalog in the next few months. We put a lot of time and effort into the snowboard gameplay and animation and treated snowboarding with as much passion and love as we have with skiing. You can do a total of 26 different grabs (left handed, right handed, and both hands combinations) as well as every type of rotation possible in real life (from 180 to 1620 degree spins, corks, mistys and rodeos). In the near future we will of course, like we have always done, iterate on the gameplay and tweak it to ensure we offer the best possible experience. Another new feature are the snowmobiles. They bring a new dimension of freedom to the game, as you can now drive up the mountain. Snowmobiles are accessible from anywhere, making it easier than ever to roam through the level to discover new areas and new lines. 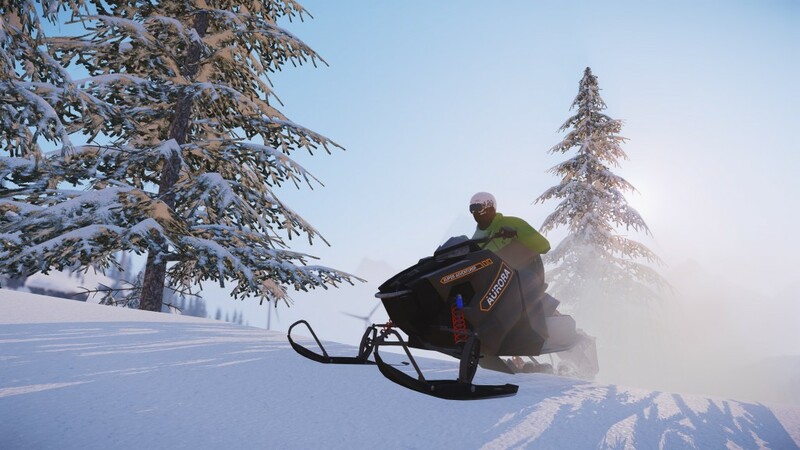 Snowmobiles can be unlocked for 499c through the in-game store. We've also added a variety of snowmobile skins to the store so that you can personalize your ride even further. In the future we plan to add more snowmobile designs along with the ability to perform different tricks while on the snowmobile. 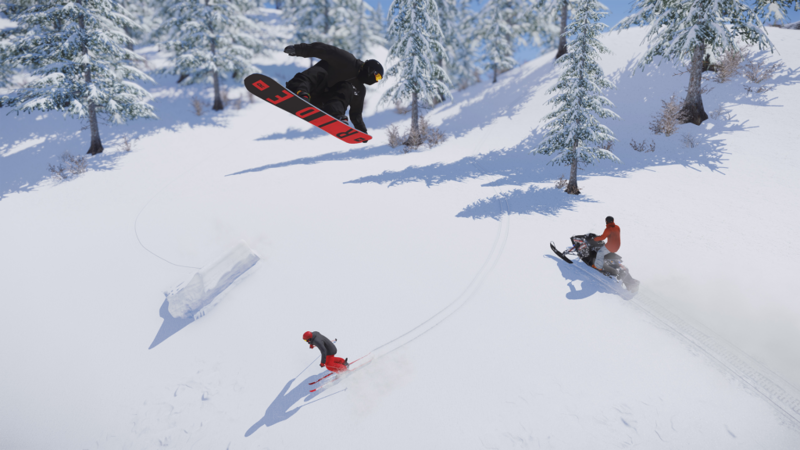 In addition to snowboarding and snowmobiles we have added a whole bunch of smaller tweaks, fixes and improvements. You can see the entire list of changes in the Release Notes. See you on the mountain! Login with facebook to comment. Hi ! Thanks a lot for your work ! Hold left on the D-pad if you're using one. If not, I guess try to hold the taunt button. AWESOME UPDATE! the snow mobile feels like it should be heavier, but it all looks great and runs smoothly. any possibility of adding a feature that allows players on snowmobiles to tow snowboarders and skiers in multiplayer? also maybe some tricks for snowmobiles, like nac nac or superman..
OH and maybe community made skins?? I bought a skin for the snowmobile before knowing you had to unlock it. lost all my coins... great. At least for me (on the PC version from steam) it's in the "Me" section on the main menu. This is a huge turnoff for me, finish event... stuck forever and grinding with snowboard is glitchy. How long till snow comes to PS4? How long till snow comes to play station?